One of the women at the Cree language lesson I attended – where I got to eat this amazingly delicious dessert – invented the word Zantoon as I was photographing the food. 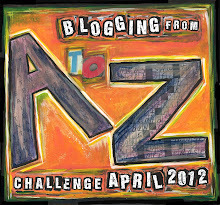 I explained the pics were for the blog, and that I was going to write about it for my final post in the A-Z challenge, and needed a name that starts with Z. Before I’d finished taking the pictures, she’d come up with Zantoon, explaining: Bannock becomes Zannock, minus the nock, plus Saskatoon, minus the Saska = Zantoon. Wow, she’s good! And it’s not really trifle. There’s no jelly, or whipped cream (though whipped cream was served, but I think we ate it all before we got to the bannock…). My oh my, how delicious this was. But Zantoon Trifle has a nice ring to it; works better than Zantoon Dessert, or Zantoon Cake or…? Do you have any ideas? Truth be told, this is probably more like scones and runny jam than anything else! This bannock was baked as a loaf, to save space in the baker’s apartment-size oven. She told me she can only cook a dozen scones at a time, while she can cook 6-8 loaves. Have you ever seen loaf-shaped bannock (or scones)? The bannock was the softest, most melt-in-the-mouth scone I’ve ever had! I want that Cree woman’s bannock secrets. Will I have to learn how to make it in Cree? Until then, I can always try this fried bannock recipe from Canadian Living. So it’s a fried biscuit recipe. What’s so special about that? Well, it’s fried for one thing…I’ve never had fried bannock, but I think it’s a bit like beaver tails, or Hungarian langos – though those are both made with yeast, which bannock never is. Or maybe you’d like to try cooking it rolled into a ribbon, and wrapped around a stick to hold over an open fire? Yeah, like hot dogs or marshmallows…. For this and other traditional variations check these recipes from the British Columbia Forest Service. Camas in Beacon Hill Park, Victoria, B.C. The First Nations people of Canada were making bannock from Camus bulbs long before the Scots arrived with their wheat and oats bannock. We had 2 versions of Saskatoon Berry Soup. One with mashed berries (made by the woman who invented the word Zantoon), that was almost creamy in texture; another – as pictured here – with the berries pretty much intact. Most of us put both on our bannock – which absorbed the juice, leaving the berries sitting on top. I’ve had Scottish bannock and jam in Scotland, and English scones with cream and jam, even in Devon with real Devonshire clotted cream – but this Cree Zantoon taste experience beats ‘me all. Wonder how that Camas bannock tastes. Maybe Canadian Cree chef Art Napoleon can teach us how to make that, eh? These sound berry good. Nice job wending your way through the letters to make it to Z in yet another round of the April Challenge. Congratulations and thank you for being a part of it. Love the idea of making up a word for Z because I did run across a few, shall we say, unique, words for that post – zyzzynga comes to mind — that were technically sort of real words but started out as made up. So I say go for it!